What Stories Have Your Favorite Leaders Never Told? We’re now bringing these conversations to a much larger audience with the A Call to Lead Podcast! The SAP podcast features the same caliber of leaders that we host at the annual A Call to Lead event. Host Jennifer Morgan explores what it takes to be an effective leader in this era of constant disruption and change. In each episode, Jennifer draws out stories, anecdotes, and lessons as she takes listeners inside the room for authentic, candid conversations with some of the world’s top executives, biggest thinkers, and boldest change agents. She seeks insights into how leadership is changing, what characteristics leaders must possess to be successful, and what leadership traits never go out of style. On this week’s episode of A Call to Lead, you'll meet Van Le, Co-Founder of Xinja. I sat down with Van on a recent trip to Australia, where Xinja is the country's first "neobank," empowering customers to bank 100% digitally, via a mobile app. Van is an expert on mobile technology and customer experience. There are many commonalities between being a parent and being a leader, including how you deal with the unexpected. Van noted that "the way in which you deal with the unpredictable teaches your kids about what to accept and how to respond." Expectations matter. Van: "One of the easiest ways to erode a leadership relationship is to not be aware of the expectations people have of you as a leader." It’s more important than ever to acknowledge great performers and great performances by your people. Van made the point that, “the absence of acknowledging that someone did something [great] can leave people feeling like they're invisible." Customer experience matters now more than ever. Disruptors and new entrants to market are filling gaps in the customer experience. Van noted that in the experience economy, your customers must love you: "We need to think about what makes our customers feel loved." Embrace your curiosity and remember that if you think have all the answers, it’s even more likely that you don’t. Van: "Knowing all the answers upfront is a very fragile place to be." 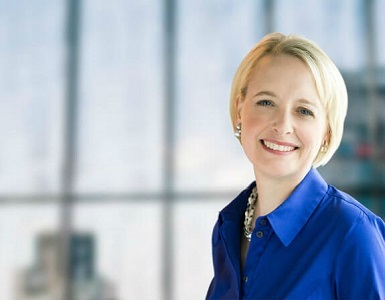 This week on A Call to Lead, you'll meet Julie Sweet, who is CEO of Accenture North America. Julie's story is remarkable. She was raised by hard-working parents who told their daughter that she could do anything. Julie ran with that ethos all the way to Columbia Law School and a partner position at law giant Cravath, Swaine & Moore. Then she did something really unconventional: Julie quit Cravath, joined Accenture as general counsel, and rose quickly to head Accenture's North American unit, where she oversees one of Accenture’s largest, most strategically-important businesses. Focus on learning and be deliberate in building a learning and development plan for yourself. "If learning is strategic and important, then it needs to be treated as a business priority." Think about risk-taking in your career as a positive. "Instead of thinking about fear, which is [inherently a] negative, or "I'm taking risks," start thinking about, "Am I pushing myself and the organization far enough to achieve what they can achieve?" The convergence of industries means experience spanning multiple industries is important and differentiating. "In a world where you have industry convergence, you can't just have people grow in the industry; they need to understand more." Learn communication skills from leaders around you that communicate well. "To become a good communicator, you need to become a student of other good communicators." In moments of stress, the ‘system’ doesn’t need more stress injected into it. It needs calm, stability, and rationality. "As a leader, the most important thing you can do is to put calm into the system, and to have people believe that you believe we can work through it." You can learn more by visiting: www.sap.com/acalltolead. And you can subscribe and listen to episodes on Apple Podcasts, Google Play, Spotify, and Stitcher. We welcome your feedback on the pod! Tweet me @JenniferBMorgan and use the hashtag #acalltolead or e-mail us at acalltolead@sap.com. Listening makes a great leader. The more senior you get, the more important this skill and discipline becomes. Embrace topics that you don’t know a lot about. Ignorance on certain topics can be frustrating, but this is also an opportunity to identify new ideas to bring back to the company to share them with the team. If you are not learning as a leader, then you are going to be left behind. Design your team with a mix and cross section of high-performing talent with a culture that allows every individual to flourish. Leading a global in a region undergoing socioeconomic and political change means opportunity for growth - as it builds flexibility and teaches resilience in leaders. In the latest episode of A Call to Lead, I sat down with Sukhinder Singh Cassidy, who has seen it all in the tech and startup worlds. Sukhinder was an early leader at Google, where she headed Asia-Pacific and Latin America operations. 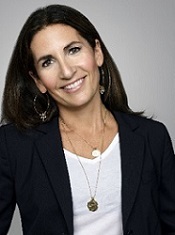 She went on to run startups that merged tech and fashion (Polyvore and Joyus) before taking the helm of StubHub, the online ticket exchange company owned by eBay. On the side (because Sukhinder is a master multitasker, as we all aspire to be), she founded and has continued to build theBoardlist (an online platform to help women get on corporate boards) while she serves on the board of Urban Outfitters. 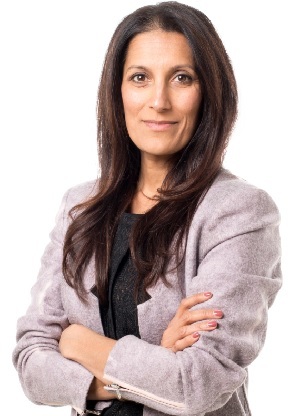 I could give you a dozen pieces of leadership wisdom from this conversation with Sukhinder, but I'll keep the list to five points and hope you'll listen to the entire podcast to hear the rest. Sukhinder talked about what she called “operating range,” what she defines as one’s ability to stay strategic or operate at a tactical level when needed. "One thing I look for in [people I hire] is a principle I call operating range—the ability to think about something at 30,000 feet and at 300 feet. The ability to roll your sleeves up and be at 30 feet if that's what it takes to get the job done." We discussed how important it is as a people leader to let go of trying to manage everything and instead, try to build a team that will help manage your energy and focus. "When you're operating through other people, you have to decide whether you're managing everything or you're happy to let people manage you." It’s important to embrace being in situations where you’re uncomfortable - it’s those situations, and sometimes moments of failure when you learn the most. "Don't be intimidated by the thing you don't know. Try it. I guarantee you're going to come out of it having learned something you don't know today. And by the way, failure is quite okay." Sukhinder and I both serve on the boards of large companies and we talked about the fact that the results are clear on diversity in the c suite and the boardroom - companies with more diversity (of all types) at the top drive better bottom lines and better results. "If you want to modernize the boardroom, you need to modernize who's in the boardroom - who brings perspectives that are relevant to these new challenges. We discussed what a challenging operating environment it is for CEOs and executives today - the sheer number of stakeholders, variables, and risks, sometimes unforeseen, seem to grow each day. And you have to operate with your head up as a result. "If I'm just heads down and I'm not aware of all the forces going on around me, my ability to do my job is fundamentally altered because out of left field is going to come something at me, which I thought I was in control of—and lo and behold, I'm not. You have to know when to be heads up. You have to know when to be heads down. I like to be able to have an open dialogue. I would call people in and I'd say, “Okay, tell me the truth. What's going on? Why is this not happening the way it's supposed to?...No one's ever gonna get fired over “my bad." They're going to get fired if they don't tell the truth and they try to cover it up. I watch women trying to be heard, and sometimes they're sitting on the edge of their seat and they're talking over. I see the men pushing back and just talking when they need to say something. If the women could visualize that, you could say whatever you need to say, but you need to say it from a sign of strength. Less words, calm down, and just say it. Just don't let those men in suits intimidate you. It's the best time to create a business, and now is the time for reinvention. When I started the cosmetics company so many years ago, people said, “Why does the world need another cosmetics company?” There's a white space if you have a different idea. Stop thinking about it, stop planning for it, stop writing it down, just do it. And if you can't afford it, figure out a way you can. 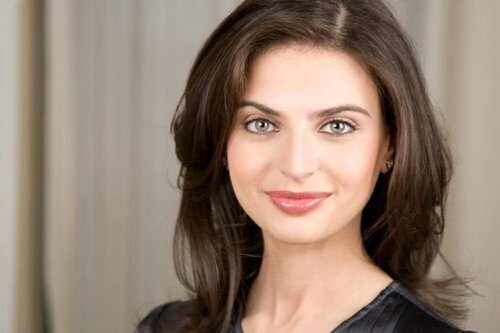 On this week's episode of A Call to Lead, my guest is Bianna Golodryga. Bianna is the co-anchor of CBS This Morning—and a woman with a fascinating path to success. Bianna was born in Russia, grew up in Texas, and spent her early career as a business news journalist, telling stories about CEOs and world-changing entrepreneurs. 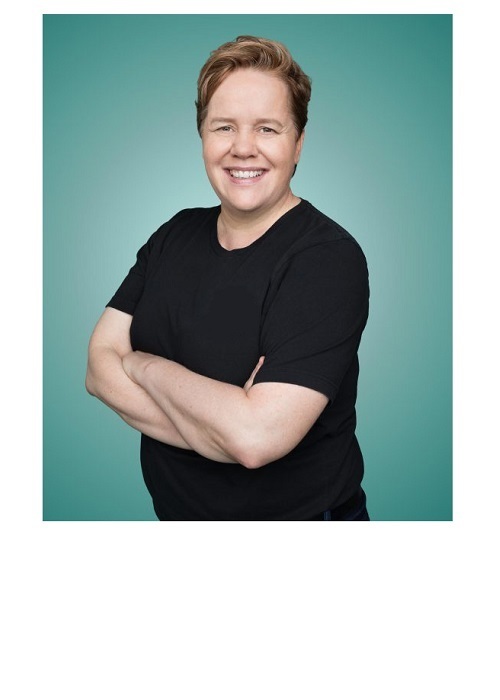 Over the years at CNBC, ABC, and now CBS, Bianna has interviewed some of the world's most prominent leaders in government as well as business. She's also a mother of two young children— figuring out, like the rest of us, how to juggle work and family. You have very little to lose when you're 21 or 22. Even if people describe you as annoying, you still might be memorable. Guilt is a useless emotion unless you use it to force change. If you're not going to change anything, let go of the guilt. Doing your homework and being prepared can get you much further than a resume or credentials. You might have graduated from whatever college and received whatever award, but it's the people that are most prepared and work the hardest that most often go the farthest. Seeing a leader set that example—saying "Listen I've got to leave at 3:30 to pick up my kids"—changes everything in the workforce. People want to contribute even more. They’re driven to work harder because they appreciate that you're human and share the same challenges as they do. You can be interviewing the CEO of a Fortune 100, the President of the United States, or anyone from any walk of life— but one topic that will get just about anyone to open up is by engaging them as a parent and talking about the dreams they have for their children and how they want their children to view them. This week, we're bringing you a throwback episode of A Call to Lead. 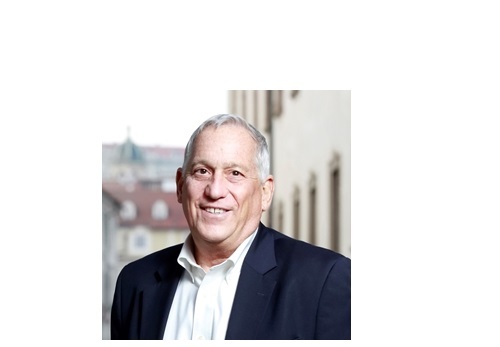 We’re fortunate to frequently feature amazing special guests and speakers at many of our SAP events - and there are none better than Walter Isaacson. So we’ve taken some highlights from two of Walter’s most recent conversations with me and turned it into a special episode. Speaking with Walter is always head-spinning and enlightening because he is the foremost expert on leaders who also happen to be the world's smartest people. Walter's specialty is geniuses. He's a professor of history at his beloved Tulane University and he’s written biographies of Benjamin Franklin, Albert Einstein, Steve Jobs, and Leonardo da Vinci. He's also a well-known leader and executive in his own right, having headed CNN, TIME Magazine, and the Aspen Institute. "If you're going to be a disruptor, you have to do like Steve Jobs and occasionally let your reach exceed your grasp." "The most important talent you need is the ability to see patterns." 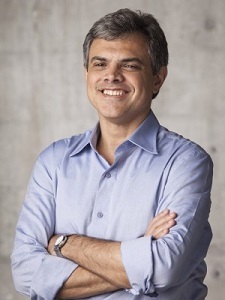 "If I were talking to somebody coming into a company now, I'd say what are your passions? And I'd hope there'd be three or four or five diverse passions. And then I would say, 'What is the pattern that you've seen by being interested in so many different things?'" "Whatever business you're in, you've got to say I'm not in the business of moving lettuce or moving packages or flying metal, [but rather] I'm in the business of applying technology to customer needs." Our latest episode of A Call to Lead is my interview with Stacey Cunningham. 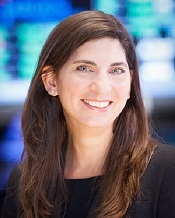 Stacey started at the New York Stock Exchange as an intern, quit to go to culinary school, did a stint at rival NASDAQ, returned—and rose through the ranks to become the NYSE’s first-ever female president. That’s an unconventional path to the top job (yes, “president” is the top position at the NYSE), and Stacey is leading the iconic 227-year-old institution in unconventional and new ways. She’s full of career advice and leadership wisdom. Leadership and management are not the same thing. Contributing to the strategy doesn’t always equate to having the largest team or having a certain number of people reporting to you. Be yourself. If you can do your job in your own skin, that’s much easier. Society is becoming a little more welcoming to that. Never waste a hire. Always hire the best player you can get - and someone better than you. When we think about the skills one must have as a leader, you don’t have to have them all within yourself. You have to have them within your team. Make sure that you're not such a key critical person that I can't give you an opportunity to go do something new because I can't take you out of the job you're in. Make sure you tune into the NYSE’s very own podcast, Inside the Ice House! It’s full of great conversations with inspiring leaders and I know you’ll love it. 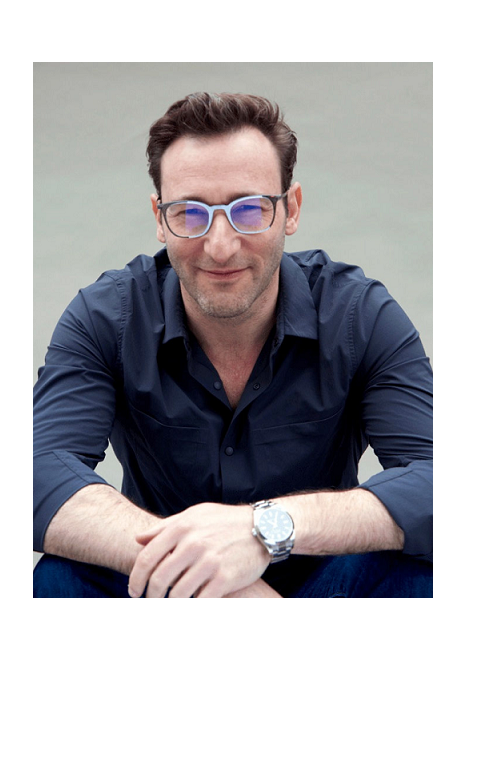 In today's A Call to Lead I talk with Simon Sinek. You may know Simon from his TED Talks, which are viral phenoms, or his best-selling books. Start With Why, his first book, is a guide to discovering and honing purpose to help build extraordinary teams. In his upcoming and fifth book, The Infinite Game, Simon explains how to lead in a world where the competition comes and goes, where rules are changeable, and where there is neither a finish line nor definite winners. Simon spoke about playing "the infinite game" as part of a keynote I gave kicking off the year for SAP last month, and in this podcast he talks about that and much more. To play the infinite game is really hard. Among all the important leadership traits, courage is No. 1. To do the right thing in the face of pressure is hard. Empathy is another critical leadership trait. Our common humanity matters. Whether they're customers or vendors or employees, we're dealing with human beings. Annual evaluations are a thing of the past, and it's not so much what the evaluation says, it's what the trend lines say. If you had a bad evaluation first and second quarter, but third and fourth quarter start to show signs of looking up, that's a good person. You’ll want to give that person a shot to keep improving. It's the responsibility of businesses to provide their people and their customers and their vendors a sense of purpose and a cause that we're all advancing - something that’s bigger than ourselves, and that's why all of life’s blood, sweat, and tears are worth it. Metrics are very important. Metrics help us measure speed and distance. But they don't indicate the end of the game. This week on A Call To Lead, I talk with one of my favorite leadership philosophers, Frances Frei. Frances is a TED Talk star, a professor at Harvard Business School, and a former executive at Uber. She's a fount of wisdom on developing great teams, maximizing your own performance, and building trust in organizations. Learn more than you have to so you can describe topics simply, especially if you’re the one tasked with ensuring people understand something difficult. Simplicity is a gift. Want to understand why so many bad things are happening in our world right now? We need to find a way to trust each other again. Most of our challenges stem from a lack of trust. If companies want to compete against the world's best, they need to look at hiring from a much wider pool of talent. It's the diversity that will unleash our excellence. Until recently, everyone has been fishing in a very narrow pond. Don’t deny your ego. Find out what it needs, be upfront and explicit about those needs, and work with your team to make sure you get what you need. Everyone has an ego that needs to be nourished. Millennials have an incredible threshold for what they will endure. They’re similar to one another, but very different from past generations...and they’re exactly what we need right now. And their time for leadership is not in the distant future, it’s here now. Thank goodness for millennials. For the second episode, I invited Gary Vaynerchuk, a serial entrepreneur, marketing genius, social media star, and unique voice in the branding realm, to come to SAP and talk with our employees about honesty, positivity, and - even though we work in very different industries - what we have in common when it comes to our thoughts on leadership. Gary’s a force of nature - and, fair warning, he’s known for using “colorful” language and while this podcast was pretty tame by his standards, this conversation was no exception. Real leadership means you work for everyone else. You have to lead in service to your people and your teams. A lot of people think positivity is a delusion. Positivity is a strategy. Voice is a transformative, hyper-growth platform. People are grossly underestimating what voice is about to do in our society. You want to have a better relationship with your boss? Share your vulnerabilities and insecurities. Truth is on the rise. You can't hide because the Internet won't let you. In the very first episode, I talked with Arianna Huffington, serial entrepreneur, Uber board member, author, and leadership expert. Arianna shares her unique perspective on a broad range of subjects, from connecting people (she's a master) to building businesses (she's created many, including Thrive Global) to understanding the zeitgeist. If we don't continue to learn, we're going to miss where the world is going. The greatest gift of leadership is being able to tap into where the world is going and see the icebergs before they hit the Titanic. To be a risk taker, you can't be looking over your shoulder for approval. Worshipping top performers creates a very toxic culture. No brilliant jerks should be allowed. Human capital is the most important capital of the enterprise. If you don't end your day with a bunch of incompletions, your job isn't challenging or interesting enough. Relentlessly prioritize. SAP is excited to bring you inside the room for these unique, important discussions about the future of leadership!